Even though Vietnam is known its breathtaking caves, cave exploration is still new to most Vietnamese. Hoping to change that, one Vietnamese man has founded a group to gather like-minded enthusiasts who share his passion for spelunking. Ta Nam Long was born in 1981 in Hanoi into a doctor’s family with a long tradition of studying medicine. After graduating from the Hanoi Medical University, one of the most prestigious universities in Vietnam, Long decided to stray from his family’s traditional profession and start his own tech company. While he had long practiced several sports such as jogging and mountain climbing, Long first tried out caving in 2014 and immediately fell in love with the sport. So far, he has explored 30 different caves and has created the Cave Exploring Group on Facebook, a collection of nearly 3,000 followers like-minded enthusiastic, some of whom join him on his trips. The group organizes cave exploring trips almost every month, with Long typically responsible for scouting out the area in advance to guarantee the group’s safety. During his backpacking trip in 2014, Long stopped at his friend’s house in the north-central province of Thanh Hoa, and was introduced to “a beautiful cave nearby,” which is the main source of clean water for the village but had never been explored by the locals. Intrigued, Long and his friend entered the cave and were amazed by the crystal clear blue water and speleothems, sights Long realized could never be seen at any regular touristic destinations. Long spent six hours inside the marvelous cave that day, and that trip marked the beginning of his love for underground chambers. After the trip to Thanh Hoa, Long started posting on his personal Facebook page in an effort to find other cave explorers to join him on his conquests. After forming a small group, Long decided to create a Facebook page to attract even more people to join him in his journeys into nature’s unexplored treasure chambers. And so the Cave Exploring Group was born. Members of the Cave Exploring Group are seen in this supplied photo. What Long finds the most attractive about the caves is the unflawed beauty of darkness and quietness, native only to unexplored chambers. “No words can describe the beauty in these chambers with their rock formations, clear blue water, natural air, and creatures never seen outside of this place,” Long said. The exploration seems to make human’s world tiny compared to nature, Long said, adding that the natural underground feels like another world , free from sights we consider as “normal”. Having seen the beauty of Vietnam’s nature, Long has a firm belief that cave exploration as a form of tourism in Vietnam has serious potential. Most caves in Vietnam are considered “dangerous areas” with restricted access, and people are not allowed to enter without permission. He has thus founded the Cave Exploring Association of Vietnam to have a legal entity to seek regulatory permissions to explore caves across Vietnam. 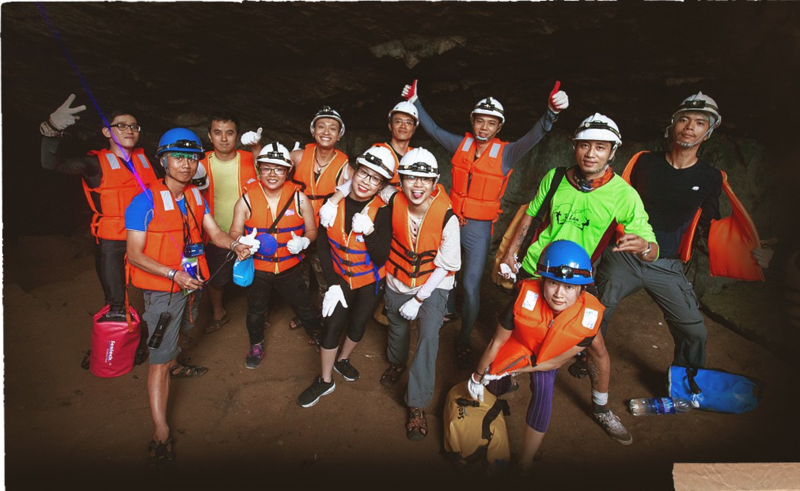 The association also works to help Vietnamese people explore the caves of their own country instead of joining trips organized by foreign experts. 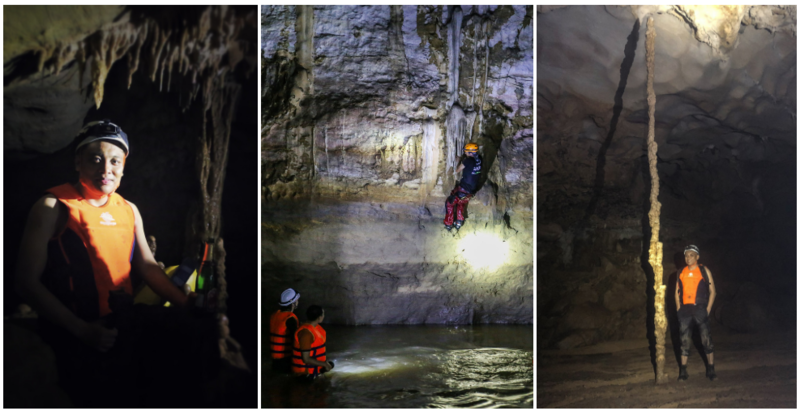 Cave exploring in Vietnam is stigmatized for the risks it bears, but Long believes only carelessness can make this sport dangerous. The sport can also be expensive at times because the gear needed to guarantee safety are not yet widely sold in Vietnam, he admitted. “The fundamental gear to enter caves includes a helmet, flashlights, clothes, and shoes for the explorers,” he said, adding that most of these things need to be imported from other countries. 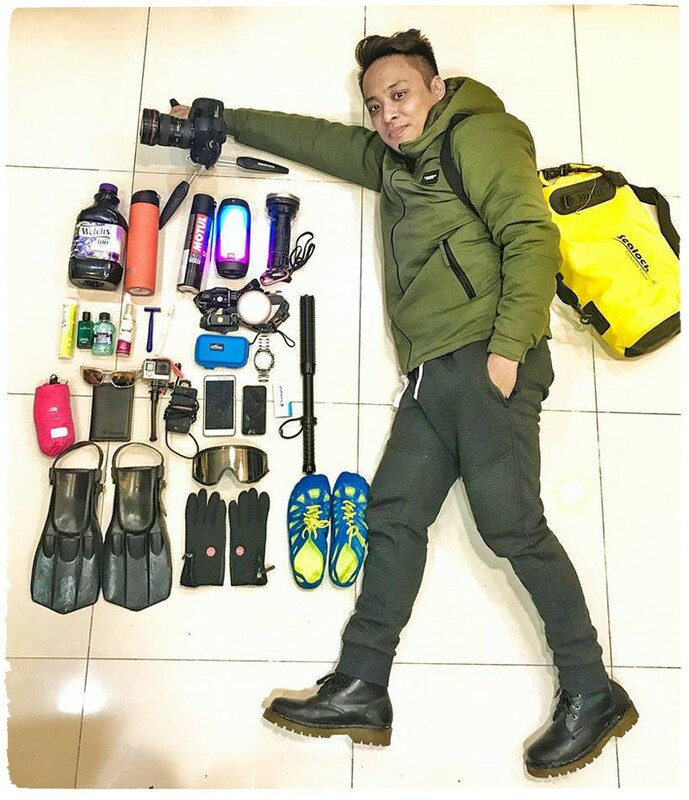 Ta Nam Long and his gear before a caving trip are seen in this supplied photo. From an exploration perspective, there are two types of caves. The first is those that are mostly flat and not too difficult to conquer, while caves in the second category usually require rope swinging and contain many deep holes, according to the experienced explorer. An exploration trip usually lasts from eight to ten hours, while in many cases it can take up to three days. Beside the equipment needed to guarantee safety, there are also required necessities including food and high-energy food, first-aid kit, and cooking utensils for trips lasting several days. Hence, each member of the crew usually carries five to ten kilograms worth of things, while exploring the biggest caves of Vietnam usually requires luggage weighing up to 40 kilograms. “All the trash and spare food we have to keep with ourselves and bring them out of the caves after each exploration,” Long said, implying that the group usually tries to minimize their impact on the ecosystem in the caves. Despite being careful and trying to avoid risks at all costs, the group leader had already been involved in a serious accident while exploring one of Vietnam’s caves. 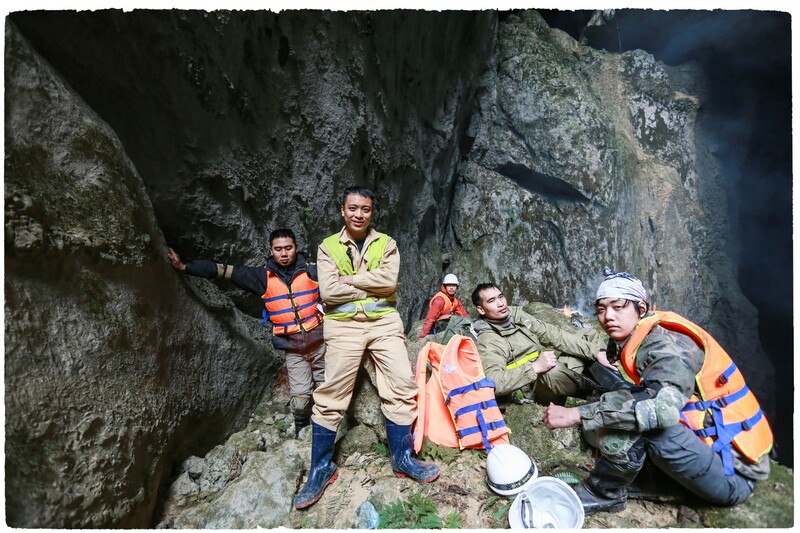 The incident occurred in 2016 when Long and his group were conquering Cong Nuoc, Vietnam’s deepest cave, located in the northwestern province of Lai Chau, where Long fell 40 meters down a canyon. Long blamed the accident on his tiredness after staying up too late on previous night, as he had to spend the whole day trying to get a permission from authorities to enter the cave. Without a clear head, Long forgot to attach a protection hook while swinging on his rope and fell down the canyon, which injured his head, thigh bone, and spine and left him with broken heels. “I had to stay down that canyon with a friend for almost two days before I was pulled out,” Long recalled. At that time, Lai Chau had to send 30 firemen to the scene to help Long get out of the cave, but even they were helpless as Long was already too deep inside the cave. It was not until other explorers of the crew went into the province’s downtown area and managed to borrow tools needed to bring Long out of the deep hole that he was successfully rescued. As a medic graduate, Long was able to evaluate his own conditions after the fall and to keep calm. He was even conscious enough to instruct others to provide him with necessary first aid until he was brought out of the cave. It took the young explorer two months in hospital with many surgeries and other four months before he could walk, and explore caves again. Cong Nuoc cave was explored by Belgian experts in early 2000s, but no Vietnamese explorer has been able to conquer it. As the cave remains unconquered following his failed attempt in 2016, Long said wishes for a chance to return and explore the cave.